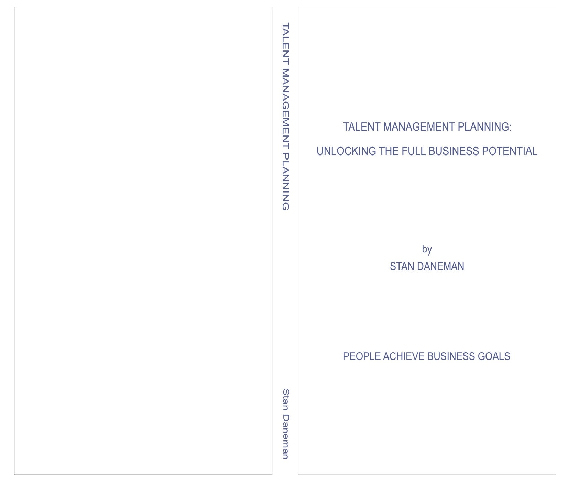 “Talent Management Planning: Unlocking the full business potential” by Stan Daneman (Copyright 2008) of Toronto, Canada is now available. The book outlines the issues of talent management as a business or systems solution: is talent management merely another application software solution that provides human resource information and career planning information, or should it also form part of the overall business planning philosophy of an organization? The objective is not to downgrade and software application that supports the overall HR activity but rather to reposition the planning of the talent pool as an integral activity within the overall business planning activities of the business. – irrespective of the size, industry or system sophistication of the organization. The book addresses the changing business environment and the impact on the changing talent pool. Compensation and human resources professionals are invited to attend the event focused on managing HR issues in Africa. Registration is underway for Understanding Labor Market Dynamics in Africa, a conference sponsored by Birches Group LLC and the African Development Bank (AfDB). The conference will be held at the African Regent Hotel in Accra, Ghana, from June 10-12, 2008. Compensation and human resources professionals from leading multi-national companies with business operations in Africa are expected to participate in the event. Plus roundtable discussions with leading employers. Birches Group consultants will facilitate the sessions, sharing their expertise and insights into Africa and other emerging market economies. Birches Group conducts labor market surveys in every African country, and works with many public and private sector organizations in the region. Participants are expected from many leading companies, including consumer products, banking, oil and gas, telecom and technology companies, along with representatives from leading international public sector organizations. Both global companies and leading pan-African employers are expected to participate. Labor markets in Africa are varied and dynamic, and require market intelligence and constant innovation in order to compete. Conference attendees will hear from their peers about human resources approaches that are most effective in their respective companies. Birches Group consultants will also share a perspective on the market, utilizing rich market data from across the region, spanning leading employers in Africa. For more information about the conference, or to register, contact Birches Group in New York (+1-212-972-6970) or visit http://www.birchesgroup.com. Science and Technology provides the foundation for innovation and technological development, which will have a significant impact in the socio-economic development of Africa. Accelerating the capacity and capabilities of science and technology in Africa by harnessing its skills and knowledge will require collaboration, partnership and networking of all stakeholders. African nationals abroad involved in Science and Technology are one of the key stakeholders that do need to be mobilised and engaged to enable them to effectively engaged in enabling the advancement of Science and Technology in Africa. Effectively mobilise and engage the African Diaspora in Science, Engineering, Technology and related sectors for projects in Africa . Gain an in-depth understanding of the ongoing African Diaspora science and technology initiatives . To gain an in-depth understanding of the challenges and solution to enable effective and sustainable Diaspora engagement .